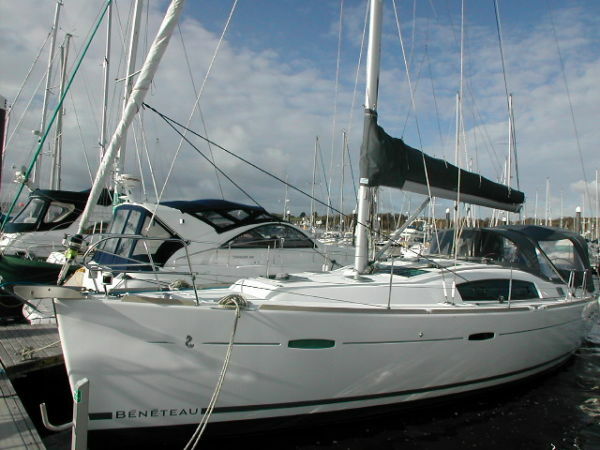 Beneteau Oceanis 40 (2007) c/w Yanmar 40hp diesel. Two double berth cabins. Large head with separate shower. Eberspacher Heating. 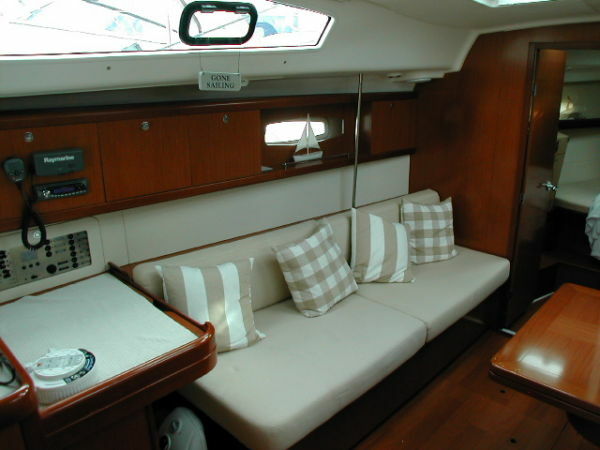 Raymarine C80 GPS/ Chartplotter. Raymarine Radar (new 2010). 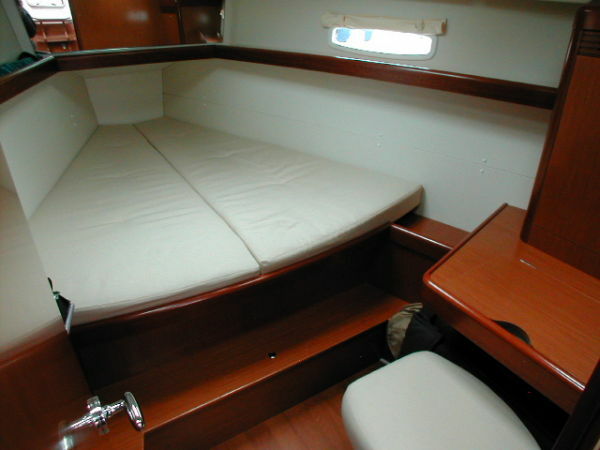 Raymarine ST60 Tridata and wind instruments. Raymarine ST6002 autopilot. Electric anchor windlass. Full cockpit enclosure. Bimini. Dinghy and outboard. One owner from new. Superb condition. Lying San Carles, Spain. 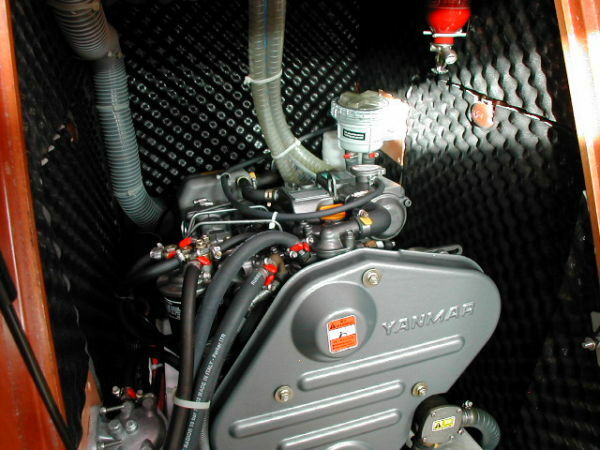 Yanmar 40hp diesel, shaft drive to propellor. 2x Batteries, charged by engine alternator and shorepower charger. The cabins are warmed by an Eberspacher heating system. 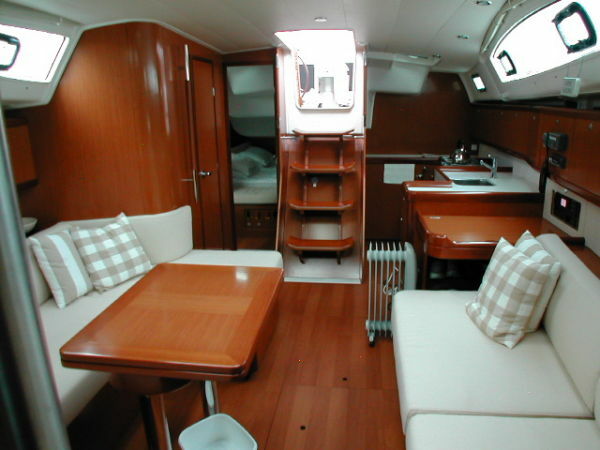 The private forecabin has a double berth and hanging locker storage. 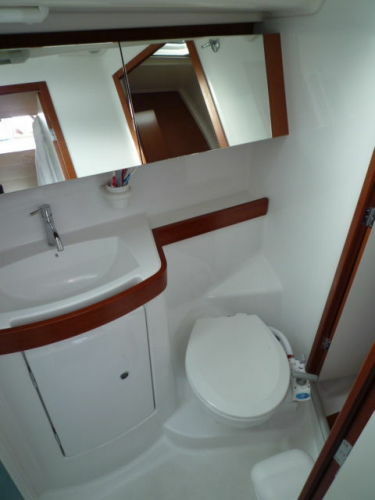 There is also a seat and a dressing table. 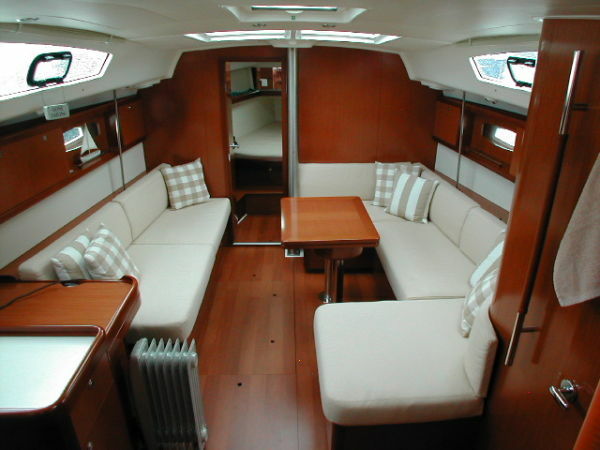 The saloon has generous curved seating to starboard around a polished wooden table, additional seating is also on the portside along with a chart table/ electrical switch panel and VHF radio. 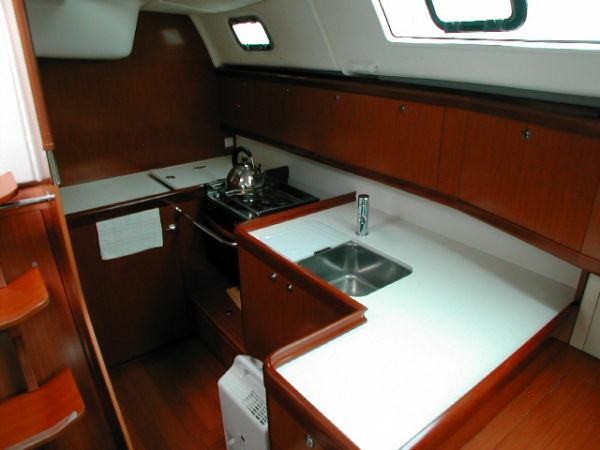 The large galley is portside aft and is well equipped with two refrigerators (combined 200 litre capacity), an Eno two burner gas stove with oven and grill, a twin bowl stainless steel sink with hot/cold pressurized water supply and plenty of workspace and locker storage. 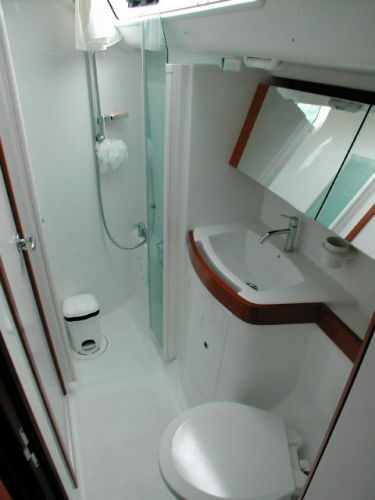 The large head is to starboard and has a marine wc, handbasin and separate shower. 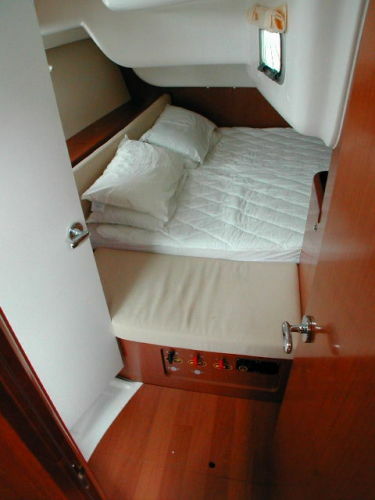 The private aft cabin is to starboard and provides a generous double berth and lockers, it also has private access to the head. Companionway steps lead up into the cockpit. 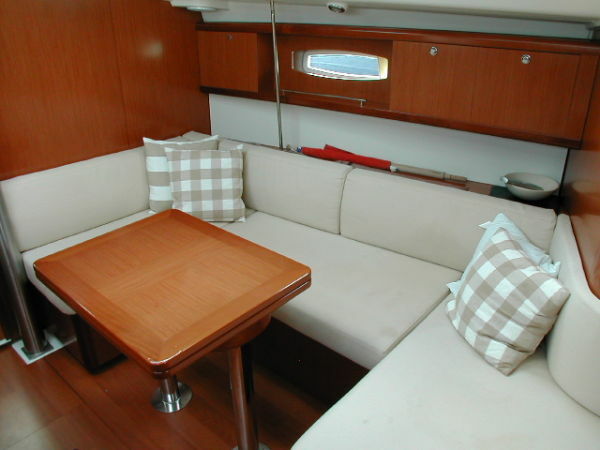 The teak lined cockpit has a generous beam, a large folding leaf table and twin aft steering helms. 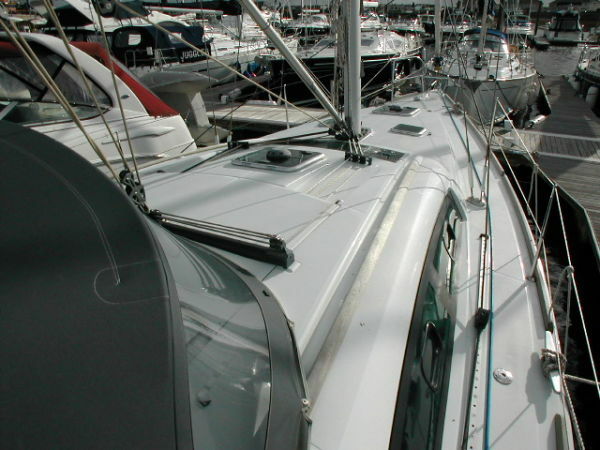 Aluminium mast and boom, twin spreaders. 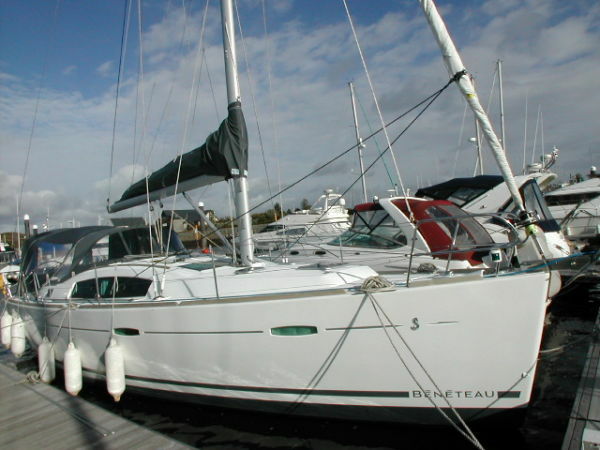 Slab reefed mainsail (with zipped boom bag and lazy jacks) and roller furling genoa. 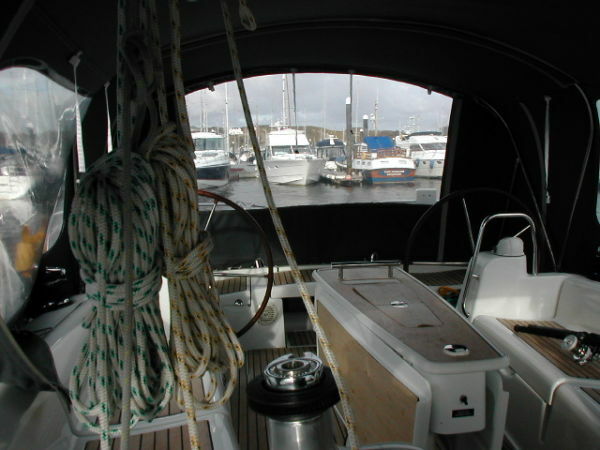 2x Harken 40 halyard winches, 2x Harken 48 genoa sheet winches. Anchor on bow roller with chain and warp. 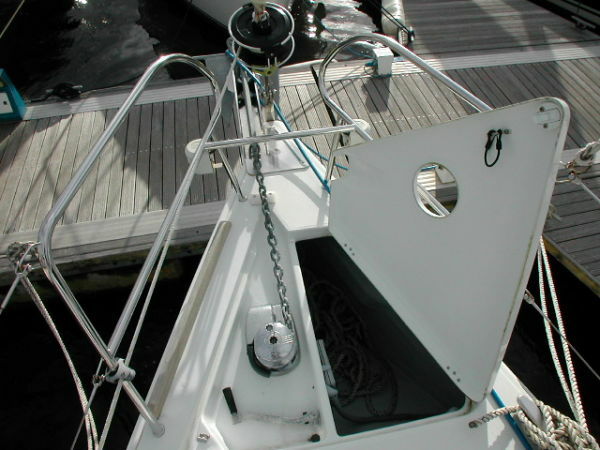 Quick electric anchor windlass with starboard helm control and chain counter. Stainless steel pushpit, pulpit, stanchions and guard wires. Grey canvass zipped mainsail bag on boom. Large grey Sprayhood. Full cockpit enclosure in grey. 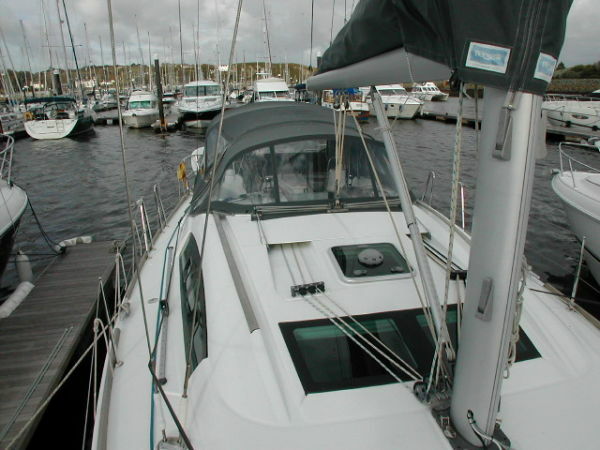 Cockpit Bimini. Boarding ladder. Transom shower. Fenders and warps. 2x Plastimo Olympic helm mounted steering compasses. 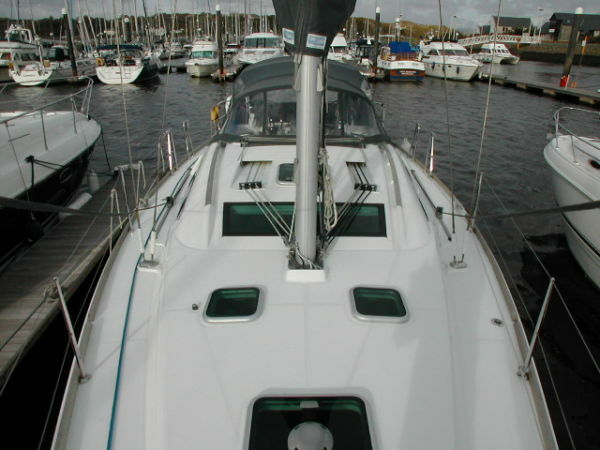 Raymarine C80 GPS/ chartplotter mounted in swivelling housing between the two helm positions. Raymarine Radar (2010). 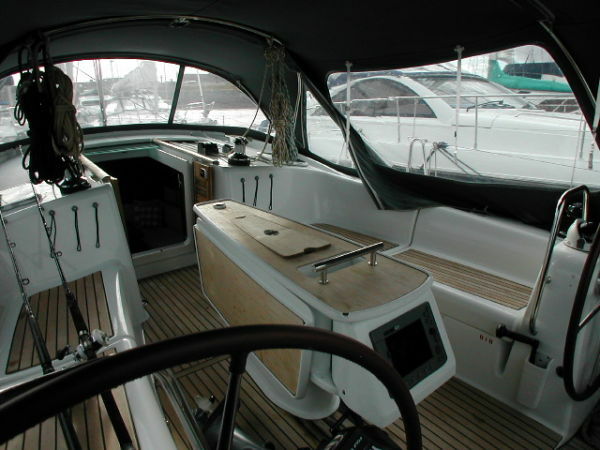 Raymarine ST60 tridata (speed/depth/distance log) and ST60 wind speed/ direction instruments mounted at the helm. 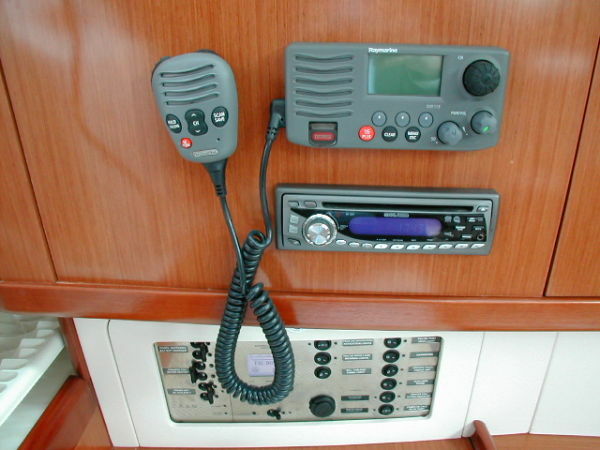 Raymarine DSC VHF radio at the chart table. Raymarine ST6002 autopilot. CD/ stereo radio with saloon and cockpit speakers. Navigation lights. Bilge pumps. Dinghy and outboard motor. Have a general question about our brokerage service? Use the form below and we will get back to you as soon as possible. © 2019 Copyright Dickies Marine Services - For more details about the cookies we use visit our Privacy and Cookies page.